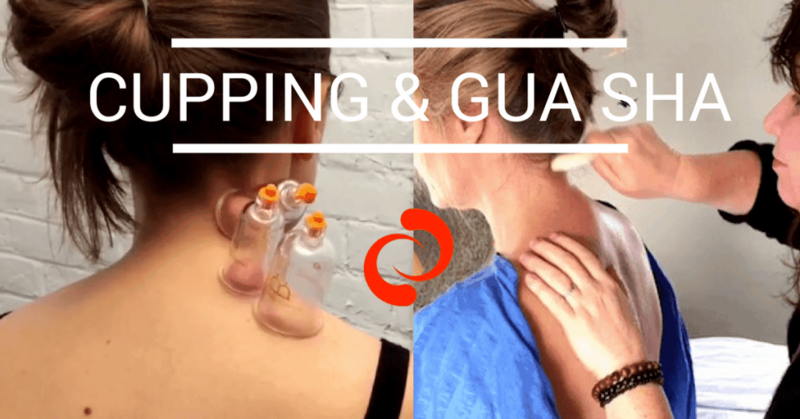 Everyone deserves to know about Cupping and Gua Sha. Cupping and Gua Sha are techniques that are little known in the West, but that we truly believe YOU need to know about if you are interested in being healthy and happy. These simple techniques can make your life (and those around you) more pain-free and help you be healthier during cold and flu season. You can do these technique on yourself, your family, or on your friends. If you’re a massage therapist or healer, you will definitely want to add them to your bag of tricks and techniques, they are that powerful. Cupping and Gua Sha are thousands of years old. This isn’t just the latest fad in alternative healing therapies. This is the real deal…ancient techniques that have been passed down generation to generation by parents to their children and by healers to their apprentices. They’re known to be extremely safe. 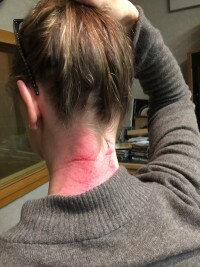 Cupping and Gua Sha were—and still are—the healing tool “of the people” and are sometimes referred as a folk medicine. They are currently used worldwide, mostly in Asia. 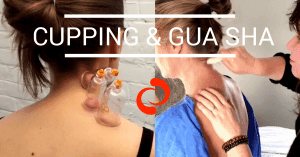 Westerners are quickly learning the amazing benefits of Cupping and Gua Sha, making them one of the HOTTEST healing modalities in the world today! People have been “cupping and spooning” as we like to sometimes call them for over a couple thousand years, and we see no end in sight! So, what exactly IS Cupping? You take a simple cup (in the old days they even used bamboo cups, nowadays we use plastic, glass, or silicone cups) and apply it to the skin with suction. The suction moves the stuck blood and qi that is stuck deep down in the joints and relieves pain. And what exactly is Gua Sha? You take a simple tool, like a ceramic soup spoon or the lid of a baby food jar, and you lightly scrape the skin. The scraping and the cupping release stuck energy from the body, particularly the muscles and fascia. Once the energy is released, the pain, tension, and resistance in the body goes away and you feel RELIEF! You also see redness come up in the areas that were stuck. This redness is what we call Sha. Our online classes for learning Cupping and Gua Sha were made for healers and massage therapists LIKE YOU! Please feel free to check them out and let us know what you think. If you’re a parent or perhaps you’re a very active person at work, in sports, or in your personal life, it’s time to learn how to put the power of healing into your own hands.